Yesterday we were able to get away to our private cottage (camp) for a night to decompress after some stressful work days. This morning Lindor & I headed down to the dock to enjoy the solitude and warmth of the rising sun. 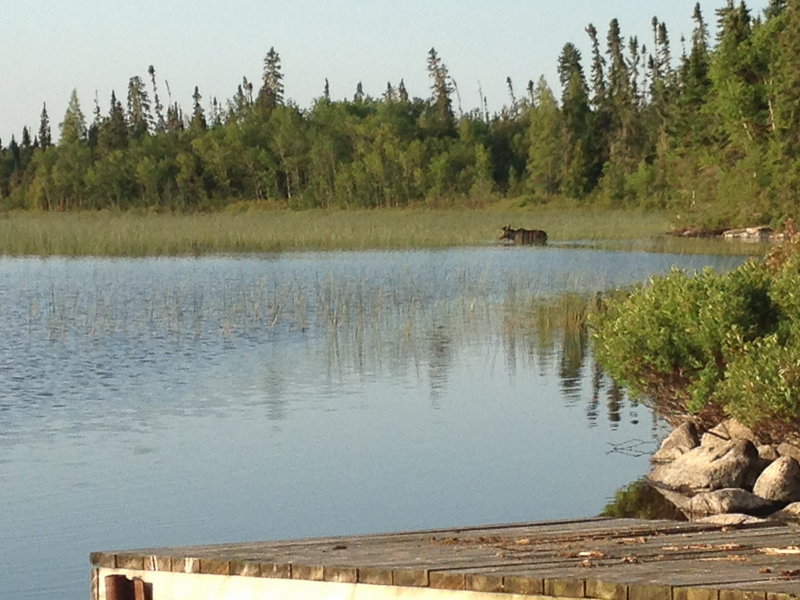 While sipping my coffee, I was startled to hear a rustle and splashing down the shore from me. 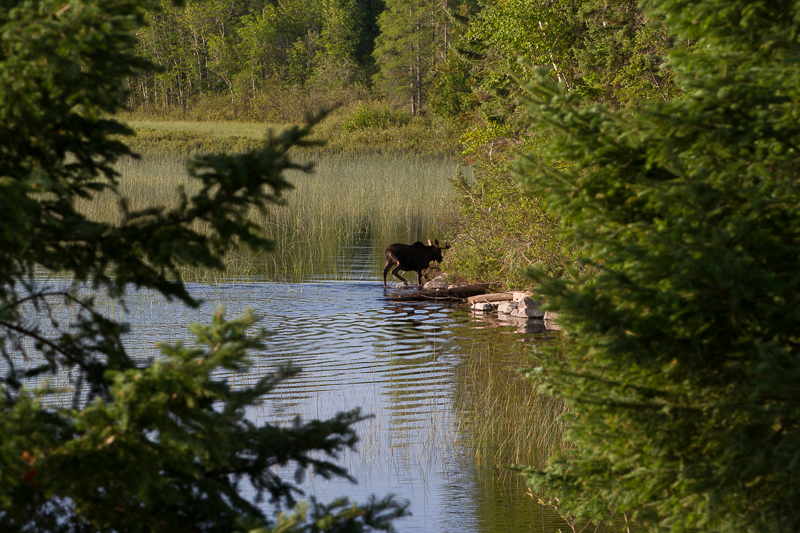 I looked expectantly for a loon or other water bird but found to my surprise, a young bull moose wandering out from the brush and into the water for breakfast in the reeds. Realizing I had neglected to bring my DSLR down the 22 steps, I reached for my phone (always on me) to capture what I could before he noticed me or my dog. Both brown boys were oblivious to each other as the moose was up wind of me and Lindor was exploring the shoreline in the opposite direction! I finally gave in to the temptation to move and as quietly as I could, snuck up to the cabin to notify Brad, distract Lindor and grab the DSLR from inside the cabin. 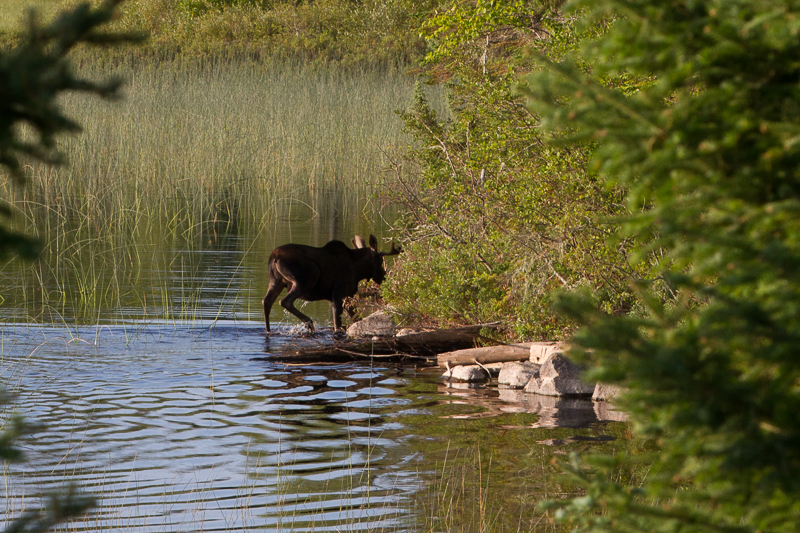 In my excitement, I let the screen door close not so quietly behind me which alerted the moose to our presence. I managed 1 quick shot before he took cover in the greenery. I don’t plan to leave my DSLR behind next peaceful dock time! !